If you need help understanding the property licensing rules in Hammersmith & Fulham you have come to the right place! We are experts in housing regulation and have produced this free guide to help you understand the council’s property licensing schemes. To help set the scene, the London Borough of Hammersmith & Fulham is in West London covering an area of 6 square miles. It is bordered by the boroughs of Ealing and Hounslow to the west, Kensington & Chelsea to the east, Brent to the north and with the River Thames to the south. According to the 2011 Census about 33% (1 in 3) of the housing stock was privately rented which is above the London average of 25% (1 in 4). There is quite a high chance you will need a licence to rent out your property in Hammersmith & Fulham although you need to study the arrangements carefully as one of the licensing schemes only applies to part of the borough. We will try to explain. On 5 June 2017, Hammersmith & Fulham Council introduced a borough wide additional licensing scheme together with a selective licensing scheme that only covers part of the borough. Both schemes operate for five years until 4 June 2022. There is also the mandatory HMO licensing scheme that applies across England. In total, there are three separate licensing schemes. You will need an additional licence if your property is let as a House in Multiple Occupation that does not fall within the remit of the mandatory HMO licensing scheme. The scheme applies to all HMOs occupied by three or more people who are not all related. You will need a selective licence if your property (house or flat) is let out to a single person, couple or single household and is on one of the designated streets. There are 100+ streets within the selective licensing scheme and you can view the list in full on the council’s website. In summary, if you rent out a House in Multiple Occupation in Hammersmith & Fulham, it will need to be licensed. If you rent out any other property, it will need to be licensed if it is in one of the 100+ streets that fall within the selective licensing scheme. You can view the public notices for the additional and selective licensing schemes in the ‘More information’ box on the top right of this page. Hammersmith & Fulham Council licence fees vary according to the number of habitable rooms. The council’s website says that for an ‘average-sized property’, a five-year licence will cost about £1,400 and is calculated automatically when you apply. When we checked in 2016, the standard HMO licence fee was £1134.39 plus £13.04 for each habitable room, so the cost seems to have increased. There is a flat fee of £560 (was £540 in 2017/18) for a five year licence. There is a £50 discount if you sign up to the council’s landlord rental charter as part of the application process. 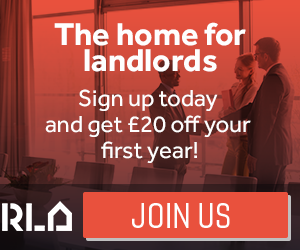 They also offer a £75 discount if you are a member of an accredited landlord body such as the NLA, RLA or the London Landlord Accreditation Scheme. However, you can only claim one discount per property so you will save most by becoming accredited. The fees we’ve listed were correct as of April 2019 but could be subject to change in the future. They can be viewed on the council’s website. An online application system was introduced to coincide with the introduction of additional and selective licensing and you can apply on the council’s website. As part of the application process, you will need to provide various supporting documents such as a floor plan of the property and the gas safety certificate if there is a gas supply. If you need assistance with a licence application, we can help you. We offer a unique hassle-free, one-stop-shop service to handle your licence application from start to finish and all for a fixed fee. As part of the service, we carry out an inspection of your property and provide expert advice on compliance. You can find out more about our licence application handling service here. Hammersmith & Fulham Council introduced new HMO standards in January 2017. The standards apply to all HMOs licensed under the mandatory HMO or additional licensing scheme. You can view the HMO standards on the council’s website. As of March 2015, Hammersmith & Fulham Council told us they had licensed 284 HMOs. By April 2016 the number had increased to 299 and by June 2017 there had been a further increase to 310. While the full register can be viewed at the Council Offices, an extract from the register can be viewed on the council’s website. When you click on the link, you will need to scroll down to the section ‘Register of licences’. When we checked in August 2018, there were two public registers. One showed that since June 2018, they had approved 12 mandatory HMO licences, 123 additional licences and 154 selective licences. There was also a pre-June 2018 spreadsheet that listed 337 properties although we found some licences had expired as far back as 2013, so it seemed a bit historic. When we checked again in April 2019, the register said that since June 2018, they have approved 36 mandatory HMO licences, 570 additional licences and 515 selective licences, plus a further 145 HMOs that were licensed pre-June 2018. So, there were 1,266 licensed properties in total. In March 2015, Hammersmith & Fulham Council told us they think there are about 690 HMOs that need a licence under the mandatory HMO licensing scheme. Thousands of properties need licensing under the new additional and selective licensing schemes so it’s important to check if the licensing schemes apply to your property. If you are one of those landlords operating without a licence, make sure you apply now to avoid the consequences. Hammersmith & Fulham Council told us they took eight housing prosecutions over the four years from April 2011 to March 2015, so on average two prosecutions a year. According to data published by the Courts and Tribunals Judiciary, the council did not obtain any Rent Repayment Orders from the landlords of unlicensed HMOs over the five years from April 2011 to March 2016. However, in January 2012, the tenants of three properties in Waltham Yard SW6 obtained three Rent Repayment Orders from their landlord after the landlord was prosecuted for managing three licensable by unlicensed HMOs. The tenants were awarded £48,502.23! For the most up to date information, you can search for housing prosecutions on the Mayor of London's 'Rogue landlord and agent checker', available here. Whilst we don’t have any figures for the NLA or RLA schemes, we have got information about the London Landlord Accreditation Scheme that is supported by all the London Boroughs. In January 2016, they told us there were 344 accredited landlords in Hammersmith and Fulham, which was in the bottom third of all London boroughs. By January 2018, that figure had increased to 608 and by January 2019, that figure had increased to 623, which has improved but is still below average when compared to all the London boroughs. To find out more about becoming accredited, you can visit the London Landlord Accreditation Scheme website here. The council introduced additional and selective licensing schemes on 5 June 2017. We will have you a brief summary of how the schemes came about. In March 2015, Hammersmith & Fulham Council told us they were considering an additional licensing scheme and that their housing strategy was out for consultation. They also told us they had no current plans to implement a selective licensing scheme, although that position has since changed. Promote improved energy efficiency in the Private Rented Sector and take steps to help those at risk from excess cold. The council’s position on property licensing became much clearer when a report on improving private rented housing was presented to the Council’s Cabinet Meeting on 2 November 2015 (read here). See agenda item 9. 5. Setting up a social letting agency. A formal public consultation exercise on these options took place from 7 July to 30 September 2016. On 5 December 2016, the council’s cabinet meeting approved the introduction of additional and selective licensing, new HMO standards and a new landlord rental charter (read here) and the licensing schemes started on 5 June 2017. There is clearly a lot happening in Hammersmith and Fulham so we will monitor the situation closely. You can sign up to our free newsletter to find out all the latest developments. In April 2016, we checked with London Borough of Hammersmith and Fulham who told us there is currently no HMO Article 4 Direction in force and they have no plans to consult on one in the foreseeable future. You can view information about Article 4 Directions on the council’s website. Whether you a looking for a letting agent, want a property inventory for a new tenancy, need a legionella or fire risk assessment, or are seeking a Gas Safe registered contractor to service the boiler, we’ve got it covered – and far more besides! Mandatory HMO and additional licensing applies borough wide. There is a selective licensing scheme covering part of the borough.